I’m sure readers out there all agree that when they need an escape, the easiest place is to look in a book. From your sofa, favorite recliner, or even bed in the middle of the night, a reader can be drinking Mai Tai’s in the South Pacific, chasing bad guys through the streets of London, or even falling in love in New York City–all with the turn of a page or the swipe of a finger. As a writer it can be a challenging task to create a world where readers want to live, shop, and smell the roses. Too much overwhelms. Not enough creates disinterest. So how does a writer walk that perfect balance between the real world and fantasy? 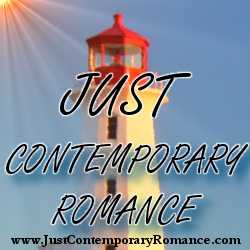 I’ve had the pleasure of writing three contemporary romance series (so far). Each have been set in different states within the continental U.S., yet they have much in common. The first small town I created was called Deer Lick, Montana. If you’ve ever been through the Big Sky territory with its multitudes of wildlife, you know this name totally fits. However, when I began a new series my editor begged me to come up with a “nicer” sounding name, so Sweet, Texas was born. My third series is set in a fictitious place called Sunshine Valley and is nestled in the Pacific Northwest vineyard region. While I’m able to create a town anywhere I want, there do need to be some commonalities. First it’s important to keep in mind what will be going on within the books you will write. Your characters must have places to go and things to see and do. These places and things must resonate with the reader and their expectations. If a book is set in a small town, a local café or bakery might be more relatable than a fancy 5 star restaurant. But if your contemporary romance is set in a big city, a chain coffee shop or a big name clothing store might fit better. In other words, don’t give them a high-rise if they expect a big mountain. The devil truly is in the details when you’re creating an imaginary world. I’ve always been a boots-on-the-ground researcher. Meaning, I actually pack a bag and go to the area where I’m interested in setting my book series. I document store and restaurant names, what the houses and yards are like, what kind of birds are flying around, what the people wear, and what the dangers of living in the area might be. For instance, the first time I saw a flood gauge in the Texas hill country I was surprised. I live in a high desert so I didn’t even know they existed. Had I not gone to the area and seen them for myself, I would have missed it. Did I ever use that in a book? Nope. But it was there if I needed it. Most importantly, I try to talk to the people who actually live there. They usually have great stories about the area that can add a lot of flavor to your imaginary world. Any little tidbit of information, whether it’s that they sell yarn in the hardware store or fishing poles in the grocery store, gives your setting the personalization that will help draw readers in and, hopefully, keep them there. When referring to the world you’ve created, if your readers say, “I can’t believe it’s not real. I want to live there!” Then you know you’ve done your job well. In Candis Terry’s first novel in her Sunshine Creek Vineyard series, the handsome Kincade brothers convene to rescue their legacy—but the last thing they expect to find is love. Lucy Diamond has racked up a number of monumental mistakes in her life, the first involving a certain blue-eyed charmer. She has no intention of falling for Jordan Kincade again, but when he shows up asking her to help one of her students, Lucy just can’t say no. Worse, the longer he’s back, the more she sees how much he’s changed. And so when a blistering kiss turns to more, she can’t help but wonder if her heart will be crushed again . . . or if she’ll discover true love with a better man.